Landscaping Reduces Your Energy Bills – Great Gardens, Inc.
Did you know that installing a landscape can reduce your energy bills? According the energy.gov the average homeowner can recoup the cost of a well planned landscape in eight years. Shading is the most efficient way to reduce air conditioning costs. A well placed tree can reduce the daytime air temperature up to 6 degrees and a landscape planted correctly with shading in mind can help to reduce your air conditioning costs by 15-50 percent (energy.gov). Deciduous trees block solar heat in the summer but allow sunlight to enter your home during the winter thus providing energy benefits all year long. 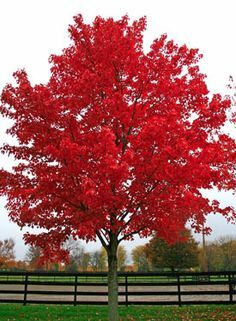 If you plant a 6-8 foot deciduous tree near your home it will start blocking the sun in your windows the very first year and depending on variety it can shade your roof in 5-10 years. By planting these trees on the south side of your home you can screen 70-90 percent of the summer sun. Other planting tips are using bushes, shrubs or climbing vines to shade the side of your home and patio areas. Even groundcover helps to cool the air before it reaches your home. Always watering in the morning during hot times to reduce evaporation and use mulch year round to keep the root of your plants either cooler or for protection during the cold weather.